The pages which follow are a partial final report on the activities of "Sources for History of Quantum Physics," a project financed by the National Science Foundation and supervised by the joint Committee of the American Physical Society and the American Philosophical Society on the History of Theoretical Physics in the Twentieth Century. The project's assigned goal was to find and preserve primary source materials for study of the history of quantum physics. This report is therefore primarily a catalog of the oral and written records which have been produced, reproduced, or located through the project's efforts. Many of those who use it will, however, want more than a catalog. There is little precedent for this project's attempt rapidly to gather manuscripts and recollections concerning a major episode in the development of modern science. Both for those contemplating similar work in the future and for those wishing to evaluate the completeness and reliability of the record now at hand, this report opens with a description of the project's main activities and experiences during its three years of operation. Ever since activity began in the summer of 1961, the nucleus of the project's staff has been the four authors of this report. At one time or another each of them has participated in almost every aspect of the project's work, but their responsibilities have generally been distinct. Thomas S. Kuhn, as Director, has been the arbiter of project policy under the general supervision of the joint Committee which inaugurated the project. He has also undertaken most of the negotiations prerequisite to interviews and to the photographing of substantial manuscript collections. In addition, he has conducted the larger share of the project's tape-recorded interviews. John L. Heilbron, Assistant Director, has been a constant participant in formulating the project's policy as well as its other principal interviewer. More than anyone else he has been the project's expert on the literature of quantum physics, and he has therefore often helped in the preparation of interviews conducted by the director. Finally, he was largely responsible for the design and management of the survey of European libraries described in Section 6 below. Paul Forman has served as the project's senior editor and archivist. Either in person or as supervisor of a special staff, he has arranged and cataloged our manuscript materials for microfilming, and he has transformed the tapes of our interviews into the more manageable written form in which they have been deposited in the files. That the project can describe its materials rather than simply measure them is largely a result of his capable management. Lini Allen has been the project's main administrative officer, a complex task since the staff has been continually on the move and its size has steadily fluctuated. In addition, she has acted as the director's secretary and has been helpful both as consultant and transcriber in processing our foreign-language tapes. To keep up with routine research and editing as well as with typing, transcribing, and cataloging, the staff has regularly needed additional help. The number of people employed, their length of service, and the nature of their assignments have varied widely at different stages of the project. On the average, however, we have had the help of two half-time research assistants and of three half-time secretaries. At one time or another some twenty-two people have served the project, for a week or more, in one or another of these capacities. We are grateful to all of them, and particularly to Karen Kivett and Charles Paul who filled roles of special responsibility with uncommon capability for extended periods of time. Many others have generously volunteered their time to advise and assist the project. All members of the Joint Committee have been individually as well as collectively available to us, and there has been occasion to call on most of them for help. Particularly we have been helped by the physicists regularly on the Committee: K. K. Darrow, S. A. Goudsmit, G. J. Holton, G. E. Uhlenbeck, J. H. Van Vleck, and J. A. Wheeler. They were, between them, personally acquainted with all the men the project hoped to interview, and, especially during the exploratory stage of the project, their general guidance and their concrete help in arranging and sometimes participating in experimental interviews were essential. Assistance of the same kind was given us at various times by: P. P. Ewald, Friedrich Hund, Théo Kahan, Maria Mayer, Paul Rosbaud, Léon Rosenfeld, Emilio Segrè, and V. F. Weisskopf. Other men have given other sorts of assistance by virtue of special training or experience relevant to the project's work. Saul Benison, formerly of the Columbia Oral History Project and now of Brandeis University, has advised us about the techniques of the oral historian. Donald Coney, Librarian of the University of California, Berkeley, and Richard H. Shryock, Librarian of the American Philosophical Society, have instructed us about the problems involved in compiling a research archive and their advice has occasionally been supplemented by the legal counsel of J. Kellum Smith, Jr., of the Rockefeller Foundation. First W. J. King, and then Charles Weiner, as Directors of the American Institute of Physics' Project on the History of Recent Physics in the United States, have shared with us their experience and, when appropriate, also the data collected by their project. Martin J. Klein of Case Institute of Technology and B. L. van der Waerden of the University of Zurich have generously made available to us much of the information, historical and bibliographical, gathered during their own continuing work on the early development of quantum physics. Equally important has been the help in administrative matters received from the staffs of the American Institute of Physics and of the University of California, Berkeley. During the project's second year, when its headquarters were in Copenhagen, we also had invaluable assistance from the staff of the Bohr Sekretariat at Carlsberg and of the Institute for Theoretical Physics on Blegdamsvej. In Copenhagen, furthermore, our most important benefits were personal rather than simply administrative. Though it was for them a year of tragedy, we had the constant support, help, and hospitality both of Professor Bohr's family, particularly Fru Margrethe Bohr and Professor Aage Bohr, and of his personal staff : Aage Petersen, Erik Rüdinger, and Edel Tanggaard. Having worked closely and continuously with them during a memorable year, our gratitude to them is especially warm. Above all, the project is indebted to the large number of people who directly or indirectly contributed to its collection. In the first instance, these are the men and women we have interviewed, many of whom have been generous of time and knowledge. Often our debt for kindness extends from the person interviewed to his family and to his staff as well. Some of those interviewed also contributed letters, notebooks, and other manuscripts of which microfilm copies now form part of the project's archive. Similar, and sometimes even more substantial, contributions of manuscripts came from the families and friends of prominent physicists whom the project was founded too late to see. In this connection it is a pleasure to acknowledge the help of Lady Katharine Darwin, Mrs. Edith London, Frau Annemarie Schrödinger, and Frau Franca Pauli, as well as of Professor Dr. Fritz Bopp and Dr.-Ing. Ernst Sommerfeld. Finally, we owe our warmest thanks both to Professor S. Sambursky for compiling a partial catalog of the Pauli collection and to the many European librarians who have taken the trouble to inform us of relevant manuscripts and other materials in their possession. The names of their institutions and an indication of the effort they have expended will be found on many of the pages that follow. Since no member of the staff had previously been concerned with the history of quantum physics, we first attempted a preliminary survey of the field. For the years before 1926, Reiche's Quantum Theory and Whittaker's Theories of the Aether and Electricity , vol. 2, proved particularly helpful. Had we known of them in time, Rubinowicz's history in the Geiger Handbuch der Physik , vol. 24, and the supplementary volume of Chwolson's Traité de physique (also available in German and Russian) would have been extremely useful too. In addition, though not historical in their aim, Van Vleck's Quantum Principles and Line Spectra as well as the various early editions of Sommerfeld's Atombau und Spektrallinien provided invaluable surveys of the literature and problem structure of the quantum theory during the crucial years before the invention of matrix and wave mechanics. For the years after 1926 there are very few similar guides, but we occasionally found it useful to consult Guth's quasi-historical survey in the Geiger Handbuch , vol. 4. Beginning at the same time as the preliminary survey and occupying the bulk of the staff's time during the project's first year, was a systematic compilation of data we expected to require for subsequent work. The first result of this systematic effort was a set of approximately 170 schematic biographies and partial bibliographies of men who contributed significantly to the development of quantum physics. Biographical information was obtained from standard dictionaries and directories, scientific and national; from newspaper and magazine articles located through standard indexes; from the prefaces to books and theses; and from obituaries, memorial volumes, the Nobel autobiographies, and whatever other special sources ingenuity could suggest. Bibliographies presented a more difficult problem. Initially the staff had planned to prepare them, but the first experiment (a full list of publications of Arnold Sommerfeld, on file cards now deposited at Berkeley and Philadelphia) proved that systematic preparation of almost 200 bibliographies would be impossibly time-consuming. Most of our biographies are therefore accompanied only by photocopies of existing bibliographies, usually those printed in the various volumes of Poggendorff's Biographisch-Literarisches Handwörterbuch der Exakten Naturwissenschaften . When necessary, as it often was in the preparation of interviews with non-German physicists, these bibliographies were supplemented by a review of Physics Abstracts and of Physikalische Berichte . In the case of deceased or of especially prominent physicists, routine research of this sort provided illuminating background on the profession and its institutions together with the biographical data at which it aims. Appendix 1 contains two examples, the project's biographies of James Franck and of Arnold Sommerfeld. The first illustrates the information accessible during the lifetime of a prominent physicist; the second indicates the fuller range of data that access to obituaries can provide. In the case of less prominent living physicists the standard sources available in a library permit no more than a thumbnail sketch of a career: date and place of birth, of university training, of main professional positions and of fellowships. But even these sketches are useful, as the still more minimal biographical outlines in Chapter II show. When compared among themselves and with the occasional fuller biographies, they tell much about each individual's professional associations and about the developments he is most likely to have witnessed. They thus permit a first step, though no more, in determining whom to interview and what to ask. In addition to this bio-bibliographical research, the staff attempted to gather systematic information about the institutions where the physicists of concern to the project had studied and worked. Again, our preliminary ideas about the speed and completeness with which this could be done proved overambitious. We managed, however, mainly by copying the course lists published almost every semester in the Physikalische Zeitschrift , to compile a convenient reference collection concerning the relevant course offerings and faculties of the main German-speaking universities. The occasional catalogs and directories available in local libraries provided less complete but still useful information about a number of other European universities. Finally, a systematic cross-check of our biographies, though never quite completed, supplied year-by-year lists of the men who had studied at each institution. All these working papers-biographies, bibliographies, and institutional summaries-proved vital first in selecting and designing interviews and then in the interpretation of both oral and manuscript records. They therefore have been deposited with the project's files in Berkeley and Philadelphia. With them will be found occasional research memoranda and a large, but neither critical nor complete, bibliography of secondary sources for the history of quantum physics. Most of these materials have also been microfilmed for the use of the Copenhagen archives Anyone who has used the types of reference sources from which the working papers were compiled will not need to be warned that the information they contain is neither esoteric nor consistently reliable. As the project proceeded, we have ourselves noticed serious errors and lacunae. Nevertheless, used with appropriate caution, they are likely to remain a useful compendium for anyone with convenient access to them. Our work could not have been done without them. Between February, 1962, and May, 1964, the project staff conducted approximately 175 interviews with about 95 people who had been involved, usually directly, in the development of quantum physics. Most interviews lasted slightly less than two hours, though some were longer and a few others were only short exchanges. Almost always interviews were tape-recorded and then transcribed. The original tapes are now on deposit in the project's archives in Berkeley and copies are available in Philadelphia. Transcripts are deposited both at these places and in Copenhagen, together with written accounts of conversations with the few people unwilling to permit the use of a recorder. Chapter III is a list of the project's interviews and of the few other oral materials in our collection. The time and place of each interview, the name of the interviewer, and other relevant information about individual sessions are listed there. Here we aim at a more general account, directed particularly to those who may undertake such work in the future, of the project's interviewing policy, procedures, and experience. Both the staff and its advisers had foreseen that interviews would demand careful preparation from both the interviewer and his subject. But our first experiments showed clearly that, because our concern was with the development of a multifaceted technical subject matter, the requisite preparation would be far more elaborate than anticipated. Increasingly, as the project continued, we found it essential to embody the results of this work in outlines sent to the man to be interviewed at least a week before the first scheduled discussion. 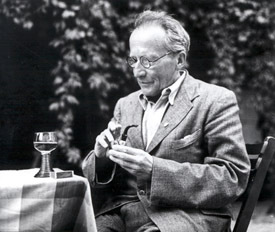 One such outline, prepared for work with R. de L. Kronig, and a selection from a more detailed questionnaire, prepared for the project's extended discussions with Werner Heisenberg, are reproduced in Appendix 2. Late in the project, when the interviewers commanded much of the history of quantum physics, had experience with interviewing technique, and had accumulated a backlog of outlines, fruitful compromises were often possible: the interviewer could sometimes operate from general knowledge, the biography in the project's files, and the published abstracts of the subject's papers; the subject in turn could be sent an outline prepared for a man whose career paralleled his own. But such compromises, though tried early, scarcely worked well before the project's third year and then not invariably. The one to four weeks required for even an experienced interviewer adequately to prepare an outline constituted therefore a principal factor governing the size and nature of the project's list of subjects. Those circumstances may justify a more detailed description of the reasons necessitating such elaborate preparation. In the first place, the interviewer himself requires the information gained in preparing the outline. Asked simply for their experience with the development of quantum physics or its parts, very few of our subjects were willing or able to talk at length. Perhaps twice during the project, interviewers encountered a physicist with an almost photographic memory of a significant episode or series of episodes. These were men who only "needed to be asked," but their frequency was too slight to influence policy. Most of the others who talked with little prompting were men who had often written or lectured on the topic before. Those records were, however, usually already available, and it proved very difficult to break the pattern set by previous official reminiscences and recapture the fresh and circumstantial memories that once lay behind them. In most fruitful interviews, then, the subject needed much prompting, and the interviewer's main task was to inaugurate a conversation and to maintain it in relevant areas. These interviews develop almost as a dialogue (though the successful interviewer will keep his own contributions very short), and this requires an interviewer able to act almost as though he had been on the ground himself. Equally important, the outline, if received before the interviewer's arrival, often has a significant impact on the man he is to see. The enterprise in which the physicist has agreed to participate may now seem less trivial and its demands less easily fulfilled than they did before. Those men who acknowledged receipt of their outline with a letter congratulating the interviewer on his extensive knowledge and confessing themselves reminded of forgotten episodes often proved the most useful informants. In other cases, the outlines at least served to remind the men interviewed of the main developments in which they had participated and to set them thinking about the areas to be discussed. In a very few cases it even sent them back to a reading of their own papers and of contemporary correspondence, a sort of preparation that is requisite to the very best interviews though it unfortunately does not guarantee them. During the interviews themselves, the outlines were generally pushed aside. They then served as an occasional checklist, reminder, and source of bibliography, but the interviewer's main object was to generate an informal discussion which would range at leisure from the subject's early recollections of his childhood interest in science, to his days at school and university, and finally to his actual participation in teaching and research. Where it could be done without strain, the interviewer tried to keep the discussion developing chronologically, for premature description of a later development sometimes distorts discussion of the episodes that preceded it. But continuity of talk rather than logic of development was the interviewer's main aim. Whatever the logical or historical relevance, the questions that might elicit, "I don't remember," were dangerous; too many of them would usually bring an interview to a halt. When focussing on the technical history of physics, such questions were not hard to find. With a few very important exceptions our subjects displayed only occasional and scattered recollections about the development of their own theoretical and experimental work. Memory is a sieve and not a random one; later "correct" formulations tend to erase recollection of the earlier fumbling attempts; a well-prepared interviewer may find himself knowing more than his subject about the development of that subject's work. The interviews can, of course, still supply extremely significant details, but they are seldom systematic or coherent accounts of technical scientific developments. The same men, however, whose memories stuttered when asked to recapitulate the origin, development, or reception of a scientific concept or experiment, were often able to talk with fluency in recreating their home, school, and university lives. In the process, many of them provided a living and often a moving picture of the social and institutional milieu within which quantum physics developed. They thus supplied information of a sort that the participants themselves often take for granted but that the historian can seldom capture in other ways. Furthermore, prompted by an interviewer well acquainted with his work and its context, the subject of an interview will often produce his most revealing information about technical developments within a biographical framework. As the project developed, an increasing attempt was therefore made to orient interviews autobiographically, and, if a project of this sort were undertaken again, that orientation should almost certainly be explicit from the start. Such a project might also, particularly in its first years, be restricted to interviews conducted with a very few men willing to take the time and do the work required for a full-scale autobiography. The informal interviews described above presented one unanticipated problem. Because of the variation in both the memory and the responsiveness of different subjects, it is impossible to know in advance how many sessions can fruitfully be employed with a given individual. After a few experiences, project interviews were therefore always made open-ended, and the resulting problem of scheduling, together with the unexpectedly large amount of time required to prepare interviews, dictated several aspects of the interviewing program. First, to reduce preparation time and also the number of men to be interviewed, the period to be covered systematically by interviews was terminated in the very early thirties rather than at the end of that decade as originally planned. Second, though many people were interviewed, much of the schedule was planned from an early stage around the few figures whose importance both as physicists and as potential informants no one could doubt. Arrangements were made to meet these men for a period that might, depending on experience, extend for a few days or for a month, and time was allowed for careful advance preparation. Simultaneously, appointments were made with other potential informants who happened to be in the vicinity at the same time as the interviewer. Unfortunately, preparations for these secondary interviews were necessarily often minimal. Many other participants were selected for interviews because their personal history made it likely that they could provide information about an episode, a physicist, or an institution not well covered by discussions already recorded. As a result, though we believe that we have talked with all the greatest living contributors to the development of quantum physics before 1930, our list of physicists interviewed was only partially determined by the importance of the work the individuals on that list have done. Again, though we think the point of diminishing returns has been reached for an interviewing program with the goals set for ours, we realize that a few of the physicists we have not seen must possess information not in our files. One last stage in the interviewing program remains to be discussed. Because they record the voices and intonations of important figures and because they constitute the only verbatim record of the project's interviews, all tapes have been saved and deposited in the archives. Their direct utility as research sources is, however, dubious because of their length, their informality, and their frequent acoustical obscurity. For research use they had first to be transcribed and rendered into rough readable prose. The transition from an original tape record to a readable and substantially accurate transcript proved, however, an immensely consuming process. Most of the two-hour interviews brought back to the project required five or six full days of skilled clerical and editorial work before an adequate transcript was ready for deposit. The problem was aggravated because the subject matter of our tapes was often technical, many of our subjects spoke with accents, and some of our tapes were recorded in foreign languages. Comparison with the experience of others who have worked with tape records suggests, however, that the basic extravagance is inherent in oral history. A large proportion of the time of the project's secretaries and research assistants was devoted to this work, and very much more personnel of this sort was needed than our early estimates allowed. Three stages were involved in the transformation of a tape into a depositable transcript, and they together determined its accuracy and form. First a rough transcript was produced by a typist instructed to emphasize accuracy at the expense of sense, but to waste no time deciphering unfamiliar technical terms or obscure passages. Next, her rough draft, which for a single interview even with lacunae might take more than two days to prepare, was turned over for editing either to a member of the senior staff or to a graduate student whose preliminary version was later reviewed by one of them. The editor's responsibility was to find a viable compromise between two incompatible goals, both essential to a usable product. On the one hand, he must aim at an approximately verbatim version of the transcript. (This is never entirely attainable. On all our tapes, some words and sentence endings were swallowed and undecipherable. Such obscurities are frequent in cases where accents, acoustics, or external noise were particularly disturbing.) On the other hand, since a verbatim transcript of an informal conversation is made almost unreadable by false starts, absence of intonation, and missing or extra words, the editor is also asked to introduce the revisions essential to readability. We have tried to leave the original as nearly alone as possible; to preserve the style, including essential obscurities and ambiguities; but to remove without special editorial comment all repetitions, false starts, tense mistakes, inconsistent endings and pronoun references whenever doing so would assist the reader. The requisite editorial process is necessarily one of compromise for which there can be no fixed rules. Even with more time and more intelligible tapes, the "accurate and readable" transcript would be a will-o'-the wisp. Though our transcriptions as a whole are, we believe, reliable reconstructions of the oral record, anyone dependent upon details of a particular transcriptions would do well to check it against the original tape. A mimeographed sheet explaining transcription policy and indicating the special signs used to show departures from the verbatim record is attached to each of the final clean copies of the project's transcripts. Also attached to each transcript is a name index prepared when the final typed versions were proofread. Although these are no full guides to the contents of the interviews, they will be helpful to anyone already acquainted with the field. Interviews were the project's primary raison d'être, and our main efforts were devoted to their acquisition. From the start, however, a secondary objective was to discover and preserve manuscript materials, i.e., letters, drafts of papers, laboratory notebooks, and so on. Though interviews can produce unique and valuable information, contemporary manuscript and published records will continue to be the most significant resource for future historians. The project's manuscript-gathering activities began in the fall of 1961 with an appeal for information addressed both to European and American scientific journals and also, with a covering letter and questionnaire, to a large number of senior physicists. That inquiry was regularly supplemented by systematic discussion with physicists whom the staff encountered and sometimes with their families and friends. (The fruits of these conversations are summarized in Chapter II under the name of the physicist whose papers were sought. In the case of individuals interviewed by the project, absence of a positive report should indicate that the person involved believed there were none in his possession.) When manuscripts were found, we asked permission to prepare microfilm copies unless they were already on deposit in a library equipped to preserve and manage them. Usually we also urged the owners to place their manuscripts in a suitable depository after the film had been made. The result is a still-growing collection of film now amounting to about 100 rolls, many containing at least 600 frames. Probably it would be still larger were it not for the tragic death of Dr. Paul Rosbaud who had agreed to lead the staff's search for manuscripts during the project's year in Copenhagen. Fortunately, the ground thus lost may soon be recaptured. The joint Committee has succeeded in enlisting Professor Dr. Friedrich Hund of Göttingen to continue the search. Supplementary lists of materials collected will be reported from time to time in the Proceedings of the American Philosophical Society together with other additions and corrections to this report. Suggestions about materials that should be recorded in this way may be sent to: Thomas S. Kuhn, Sources for History of Quantum Physics, Library of the American Philosophical Society, 105 South Fifth Street, Philadelphia, Pennsylvania 19106. Chapter IV is an inventory by microfilm of the material so far photographed for the archives. Most of the items there listed are more closely described in Chapter II under the name of the physicist who wrote them. Here we discuss the policies which governed the selection, arrangement, and cataloging of manuscripts for filming. The problem of selecting manuscripts varied considerably depending upon whether the collection was found in the possession of its original owner, ordinarily a physicist being interviewed, or whether it had passed to his heirs. Few of those we interviewed still had old letters and papers: either they had never saved them or they had been separated from them during the war. (One or two, however, later found material they had not believed they possessed, and this may still happen with a few others.) If one of them did have manuscripts, we asked to examine those written before 1939, and selected, when possible, the following categories for microfilming: all correspondence, all preliminary drafts of papers on quantum physics, all research notebooks, and a representative selection of lectures on topics relating to the quantum or to the education of quantum physicists. Often an attempt to restrict the filming to "significant" materials within these categories would have further reduced the bulk of the collection. But the relevance of any particular standard of selection is always uncertain and the effort of applying it prohibitive. Ordinarily we have seen no alternative to microfilming all the manuscripts that remained after the initial sorting by categories was completed. Selection from among the papers of a deceased physicist usually presented a more difficult problem. Such a collection often included materials spread over a lifetime and was correspondingly bulky; sometimes only a fraction of it was relevant to quantum physics. Yet the original owners were usually physicists of special distinction (e.g., Kramers, Schrödinger, Sommerfeld), and we therefore felt obliged to relax our standards of relevance and make sure that little of possible significance might be lost. Except when assured that the papers would shortly be deposited in a specific, secure depository, we undertook to microfilm as much as possible. If that proved to be less than the whole collection, we prepared an inventory of the material that was not filmed. Materials found together were generally microfilmed together; very seldom was an attempt made to juxtapose on a single film items found in different places. Within a single collection, however, material was freely arranged for convenient retrieval except in the very rare cases when the original order might itself have historical meaning. If a collection belonged or had belonged to physicist X, then letters to X were usually arranged alphabetically by author and chronologically within each author category. Carbons or drafts, if any, were interleaved with the letters to which they related. Manuscripts, except those that had accompanied a letter, were microfilmed separately, ordinarily in order of composition. To facilitate use of the films, all items photographed were cataloged. Usually the cataloging was completed before filming, and the cards were microfilmed with the items to which they refer. Duplicate card catalogs of the collections have been deposited at Berkeley and Philadelphia, and the catalog has also been filmed to permit easy reproduction. Each item on a film is referred to in at least two places in the catalog. The primary reference is filed under the name of the author. (There are very occasional exceptions. In the case of correspondence addressed to a physicist by a little-known administrator, for example, the primary card may be filed under the recipient.) That card indicates the nature of the material -- i.e., Letter to Y, Notes on a Lecture, Draft Manuscript, etc. ; states its provenance and the date it was received for filming; and supplies the film number and the approximate position on the film at which the item can be found. If the document is a lecture, draft manuscript, or something similar, the card generally supplies a title or equivalent indication of subject matter together with date of composition when available. If the document is a letter written before 1935, the primary card usually indicates its dateline and size; often it will also supply the language in which the letter is composed and tell whether it is handwritten or typed. For the later letters (say after 1935) in some collections and for some administrative correspondence, the primary reference is, however, often abridged: e.g., "6 letters from X to Y between 1938 and 1943." The second catalog reference to a given item occurs on cards which sketch, by "Section" and occasionally "Sub-section," the contents of each microfilm. ("Section" is an arbitrary division introduced to shorten the length of film that must be searched to find a given item; on the film a section is marked by photographing an easily visible numeral at intervals.) These table-of-contents cards are separately filed under the number of the microfilm they describe, and they have also usually been photographed at the beginning of that film. They record, in the order of its occurrence, each item or group of related items that have been photographed. Chapter IV is constructed directly from them. Finally, many manuscripts in the collection can also be located through one or more cross-reference cards. If a letter is from physicist X to physicist Y, the catalog will contain under Y a card saying, "See X." If the cataloger has noticed that the letter is largely concerned with physicist Z, a similar card may be filed under Z, but no attempt was made to introduce these subject cross references consistently. Again, if the project has photographed X's notes on a lecture by Y, the primary reference will be filed under Y but there will be a cross reference under X. All the films discussed so far are copies of primary source materials. A few of the project's films are, however, photographs of research materials prepared by or given to the project. The microfilm of our own catalog is one example. Another is the microfilm containing inventories of other manuscript collections, for instance the catalog of the correspondence of Hermann Weyl preserved at the Eidgenössische Technische Hochschule in Zurich. In addition, the project has microfilmed a number of letters, memoirs, and memoranda sent to it in lieu of or as supplement to an interview. These materials and others like them are listed with the contents of our other microfilm in Chapter IV. In addition to the papers loaned to it for microfilming, the project obtained a great deal of information about relevant manuscripts deposited elsewhere. Many of them are in established libraries and therefore do not require microfilming for preservation. These libraries will ordinarily make copies for other libraries or for individuals as needed. Some papers, however, are still in private hands and probably should be microfilmed, though for one reason or another the copying has been delayed. Information about the contents of these other collections, public and private, is recorded in Chapter II under the name of the physicist to whom it relates. This section reports the state of the main private collections and the manner in which the information about materials in libraries was obtained. The papers of Niels Bohr, deposited at the Institute for Theoretical Physics (now the Niels Bohr Institute) in Copenhagen, is undoubtedly the most important collection for the prospective student of the development of quantum physics. Its backbone is Professor Bohr's scientific correspondence which contains over six thousand letters, some dating from his university years, and which includes drafts, fair copies, and carbons of Bohr's replies. There are also notes and drafts towards published and unpublished lectures and papers, as well as numerous manuscripts, not all of them published, sent to Bohr by other physicists. Finally, separated from the scientific correspondence, the collection includes much early administrative correspondence of the Institute. Not yet included in the collection is a considerable body of personal papers, some of them also relevant to the development of Bohr's scientific thought. 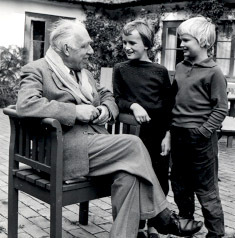 Professor Bohr's heirs represented in these matters by Professor Aage Bohr, Director of the Niels Bohr Institute, 17 Blegdamsvei, Copenhagen Ø, intend the papers in the Bohr archive to be available to scholars both in Europe and abroad. They hope that the archives presently under the supervision of Professor Léon Rosenfeld, will even provide the nucleus for a European research center to which other manuscript resources may accrue. Already, partly as a result of the project's stimulus, a detailed descriptive catalog of the Bohr papers is being prepared in Copenhagen. As that work advances, the cataloged papers are microfilmed, and copies of the films are deposited in Berkeley and Philadelphia. As of December, 1964, the microfilm already prepared contains both the correspondence and the notes and draft manuscripts through 1922, as well as a full catalog of all scientific correspondence by title, author, and dateline. That material is listed in the appropriate parts of Chapter II, and the microfilms made to date are described in Chapter IV. The Einstein papers, at present deposited at the Institute for Advanced Study in Princeton, also, contain material germane to the history of quantum physics. During the past few years, through a project conceived and guided by Professor Gerald Holton of Harvard, those papers have been descriptively cataloged with the help of Miss Helen Dukas, Professor Einstein's former secretary. Professor Holton and Miss Dukas have kindly provided us with the information, recorded in Chapter II, concerning the correspondence with persons active in quantum physics which is known to be included in the collection. Those interested in additional details should write Professor Gerald Holton, Lyman Laboratory of Physics, Harvard University. A third collection of particular interest to people studying the development of quantum physics is the one assembled by Mrs. Wolfgang Pauli at her home in Zurich. Much of it consists of manuscripts found in Professor Pauli's home and office during the weeks following his death in 1958. Unfortunately, they prove to be largely current correspondence and working notes; Pauli had saved very little material dating from before the Second World War. Mrs. Pauli has, however, obtained copies of a large number of valuable letters by Pauli, some from an early date. Though several were contributed by the project and others reached our files independently, the Zurich collection includes significant material not yet available in any other form. Mrs. Pauli and her advisers now expect that the full collection will ultimately be deposited at the Centre Européen de la Recherche Nucléaire (CERN) in Geneva, and that, as time goes by, increasingly large parts of it will be made available for study and perhaps also microfilmed for deposit at other centers. Unfortunately, however, none of the necessary decisions is yet firm. Meanwhile, Mrs. Pauli generously offers to make at least the scientific parts of the collection available to scholars recommended to her by a physicist she knows personally. Inquiries should be addressed to Mrs. Franca Pauli, Bergstrasse 35, Zollikon-Zurich, Switzerland. Individuals interested in utilizing the older parts of the collection will be greatly assisted by a descriptive catalog of the correspondence prepared with the project's support by Professor S. Sambursky of the Hebrew University in Jerusalem. That catalog is still incomplete, and arrangements are now being made to incorporate much recently discovered postwar correspondence. It already includes, however, most or all of the older correspondence on deposit in Zurich, and it is, therefore, reproduced on one of the project's microfilms. Information from it is incorporated in Chapter II. The papers of O. W. Richardson, recently acquired by the University of Texas, constitute a fourth collection of considerable significance. Though little reliable detail is yet available, a preliminary inspection indicates that the collection is rich in correspondence with men important to the early development of quantum physics. A catalog is now being prepared and will, when complete, be available both at the University and at the American Institute of Physics in New York. Meanwhile, inquiries may be addressed to Dr. J. Leach at the Humanities Research Institute of the University of Texas. Another useful collection, though one of a somewhat different sort, is now being assembled at the American Institute of Physics (A.I.P.) by that organization's Project on the History of Recent Physics in the United States. (For information about this undertaking, see the announcements in Physics Today 15 : pp. 44-45, and 17  : pp. 84-86. The project now also publishes an occasional newsletter which can be obtained by writing to the Director, Project on the History of Recent Physics, American Institute of Physics, 335 East 45th Street, New York, New York.) Among other activities, the A.I.P. project has solicited autobiographical data and narratives from a large number of American physicists, and it has also obtained a great deal of information about manuscript sources now in libraries and private hands in the United States. Some of the papers discovered in private hands have since been deposited in the Niels Bohr Library of the A.I.P. where they constitute the nucleus of a growing archives Ever since the two were inaugurated at almost the same time, that project and this one have worked closely together whenever their areas of interest overlapped. We are especially grateful to the A.I.P. project's successive Directors, W. J. King, Jr., and Charles Weiner, for information they have supplied both about manuscript sources held at the A.I.P. and about those in other American depositories. That information is reported with our own in Chapter II. The listings given there should not, however, inhibit direct inquiries to the A.I.P. project, for their records continue to expand rapidly. Because of the timely assistance provided by the activities of the Project on the History of Recent Physics in the United States, our systematic survey of manuscripts already on deposit could be restricted to European libraries and learned academies. Beginning late in 1962, letters were addressed to about 250 European institutions asking what materials were already in their possession. These letters provided information about the project and its sponsorship; they also enclosed both an overall list of deceased physicists who had been involved with quantum physics and a more manageable sub-list of physicists who had lived in the vicinity of the institution addressed. About sixty per cent of the institutions responded and of these a number reported relevant papers, some librarians even providing the project with an itemized list of letters complete with dateline and the name of the correspondent. Several of the collections located in this way are clearly of great importance. In addition, we have acquired valuable negative information indicating which correspondence must still be sought and where it is not now located. The positive information from the survey is given under the name of the appropriate physicist in Chapter II. The negative information can be reconstructed from Appendix 3 where the institutions that responded to the project's inquiry are listed together with a table indicating the physicists about whom each library was asked to check. As already indicated, duplicate sets of the project's records, including its working papers and its tapes, have been deposited at the Library of the American Philosophical Society, Philadelphia, and at the Library of the University of California, Berkeley. A third set, excepting only the tapes and a few working papers, has been deposited at the Bohr archive in Copenhagen. The collection is now available at all these institutions. The conditions under which the archive was assembled have, however, compelled the joint Committee to formulate an explicit convention governing the use of the project's materials at all depositories. That convention, whose intention is to protect the literary rights of all donors, is reprinted immediately below. Following it is a copy of a statement which anyone using the collection will be asked to sign. The Archive for the History of Quantum Physics was assembled under the direction of the joint Committee of the American Physical Society and the American Philosophical Society on the History of Theoretical Physics in the Twentieth Century. The Archive is deposited, in original or duplicate form, at the Library of the American Philosophical Society, Philadelphia, Pennsylvania, at the Library of the University of California, Berkeley, California, and at the Universitets Institut for Teoretisk Fysik (now Niels Bohr Institutet), Copenhagen, Denmark. The joint Committee during its existence, or later its parent societies, may authorize the deposit of a duplicate archive at additional Libraries of Deposit with the intention of increasing the utility of the collection to the world of scholarship. In all cases use of the Archive is governed by the following Convention required by the nature of the assurances given by the joint Committee to the donors of the material, without which assurances the material could often not have been obtained. Use of a few items in the Archive is further restricted to meet the wishes of individual donors. The institutions at which a copy of the Archive will be deposited undertake to make sure that access will only be granted to bona fide scholars and students working under their supervision. Anyone to be given access must agree, by signing a printed statement of conditions, that, though he may cite the collection, he may not quote from it without the permission of the proprietors of the literary rights in the material to be quoted and that he will paraphrase it only in such detail as is essential to a just expression of its historical and scientific substance. At their discretion, the persons responsible for the safekeeping of the Archive may allow additional copies of small numbers of items in the collection to be made for the use of qualified individual scholars who will undertake, with respect to such copies, to observe the conditions set forth in paragraph (2) above, and who will further agree not to allow such copies to pass out of their hands. Use of the material is subject to the condition that copies of any resulting publication must be given to each of the Libraries of Deposit or other archives in which a copy of the material is deposited. In consideration of the extension to me by the Librarian of the privilege of using for scholarly purposes papers in the collection assembled under the direction of the Joint Committee of the American Physical Society and the American Philosophical Society on the History of Theoretical Physics in the Twentieth Century, I agree that I shall not quote from any of the material to which I am given access without the permission of the proprietor of literary rights in it, that I shall paraphrase it only in such detail as is essential to a just expression of its historical and scientific substance, and that if I am allowed to copy or to have copies made of any of the material, by microfilm or other techniques (including hand copying), I shall use the copies only for scholarly purposes, subject to the foregoing restrictions, and shall not allow them to pass into the hands of others without the written consent of the Librarian. I also agree to send copies of any resulting publications to the three depositories mentioned in the Preamble above.